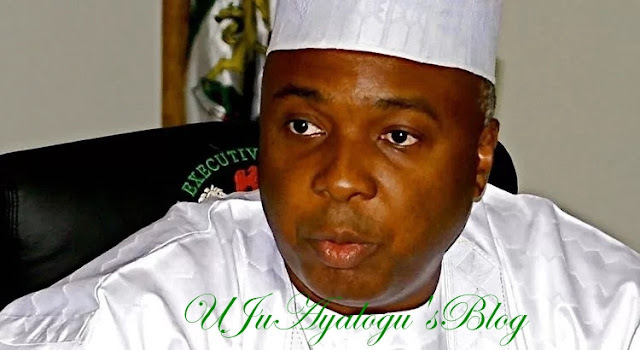 Senate President, Bukola Saraki, has clarified his comments about Senate confirmation powers. Saraki had spoken on Monday at the ongoing Orientation Programme for incoming members. Speaking through Olu Onemola, his Special Assistant on New Media, Saraki said he never made negative statement about Ibrahim Magu, acting chairman of the Economic and Financial Crimes Commission (EFCC). Onemola, in a statement, said “During the Orientation Programme for Members-elect of the 9th National Assembly, at Transcorp Hilton Hotel Abuja, in the first lecture of the day which was about the “Overview of the National Assembly Structure, Functions and Inter-Parliamentary Relations”, presented by Mr. M.A. Sani Omolori, the Clerk of the National Assembly (CNA), the Senate President, Dr. Abubakar Bukola Saraki, served as the Chairman of the session.